In this edition of Muscle Car Milestones, we’ll explore the 1964-1969 Plymouth Barracuda. This scrappy little fish was the original pony car, making waves in the muscle car world two weeks prior to the Mustang. 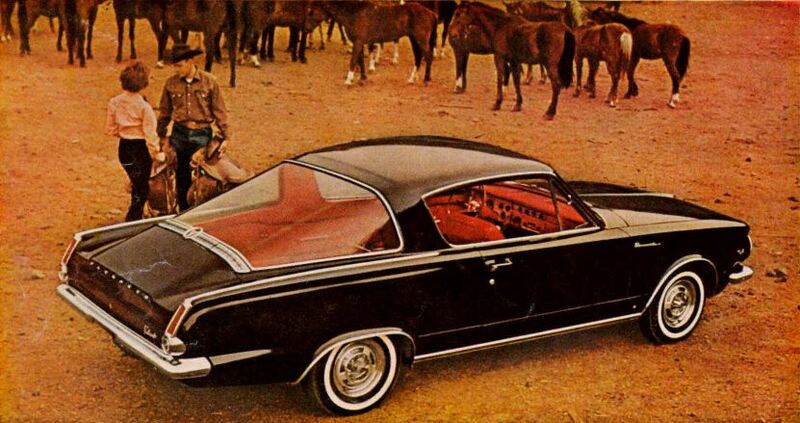 Some may say this generation of the Barracuda is the Rodney Dangerfield of the early pony cars. It just doesn’t get the respect it deserves. However, this sporty fastback sank its teeth into the other pony cars every chance it got. It may have been a small fish in a large pond but we think this overlooked car is worth checking out. The Barracuda came at a time when sporty, compact cars were becoming all the rage. 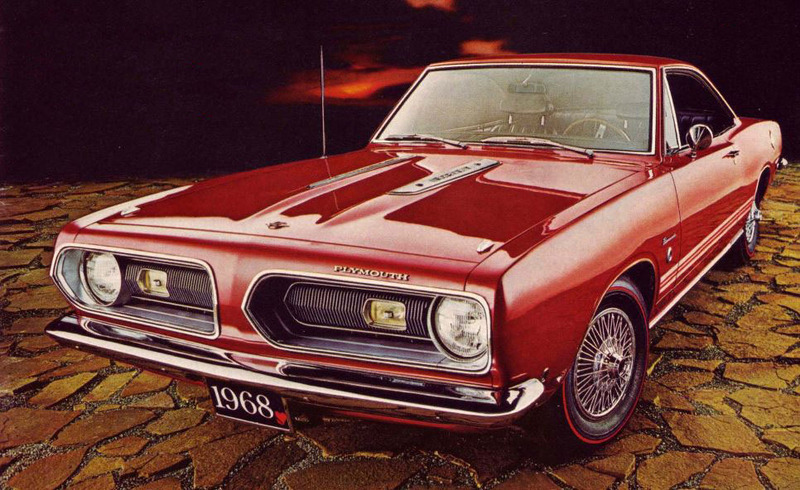 The Plymouth Barracuda was born from the Valiant and tweaked to make the car into a sleek fastback. One of its most striking features is the large 14.4 square foot wraparound rear window. The interior could be dressed up with options such as a wood-grained steering wheel, transistorized radio, and air conditioning. It also featured a fold-down rear seat with an advertised 7 feet of fully carpeted “anything” space. Under the hood lurked anything from a slant-6 all the way up to a 273 cubic-inch V8. 1965 is when things start to get interesting. This was the year the Formula S option was introduced. This package came with goodies such as heavy-duty shocks, springs, and sway bar underneath along with items such as a tachometer inside. 14-inch wide-rim wheels with Blue Streak tires and simulated bolt-on wheel covers also came standard with this package. The real prize in this package was the 273 cubic-inch Commando V8 cranking out 235 horsepower. This powerplant features a 4-barrel carburetor, dome-top pistons, solid lifters, and a low back-pressure exhaust system. So, how did it perform? Car Life was able to get from 0 to 60 in 8.2 seconds while Speed & Custom garnered a time of 8.5 seconds. The magazines also got between 15.9 and 16.5 mph dashing the quarter mile. 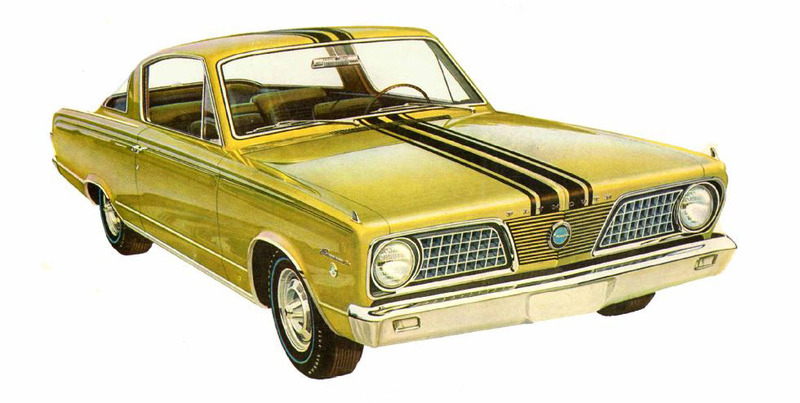 1966 saw the Barracuda get a slight makeover which included a new die-cast grille and tail lamps. A list of optional equipment inside consisted of a transistorized AM radio, seat belt retractors, and a new center console. The performance Formula S option also returned this year. Motor Trend flogged the Formula S equipped with a 3-speed TorqueFlite and got a respectable 8.9 second 0 to 60 time along with a quarter mile run of 16.5 seconds running 84 mph. Installing a Paxton supercharger upped the ante and gave this compact a little extra kick. From 0 to 60, the Barracuda was 1.1 seconds quicker and the quarter mile time was shaved by 0.7 seconds. The supercharger also made the Barracuda 8 mph faster in the quarter mile. According to Motor Trend, this upgrade only cost $365 and took about an hour to install. 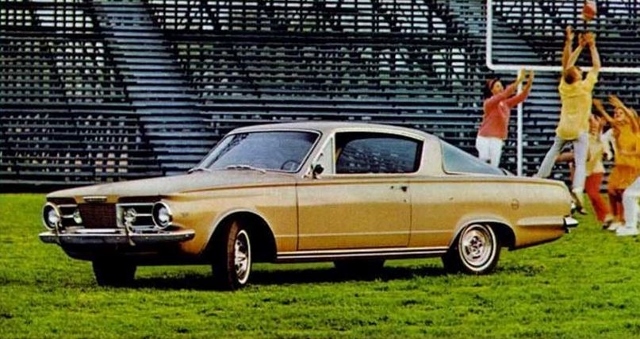 Lots of changes were in store for the Barracuda for the 1967 model year. The car was completely redesigned including all-new sheet metal, a longer wheelbase, and new body styles. This year, buyers could opt for a hardtop, fastback, or convertible. The big news this year was the addition of another V8 option for the Formula S package. Plymouth shoehorned a 383 cubic-incher under the hood and turned up the excitement factor a few notches. This engine can chirp the tires courtesy of the engine’s 280 horsepower and massive 400 foot pounds of torque. This is accomplished courtesy of an AFB 4-barrel carburetor, massive side-by-side ports, cast headers, and dual low-restriction exhaust. The only downside to having the 383 is the lack of power steering and air conditioning. 0 to 60 times with the 383 were recorded by the automotive press in the neighborhood of 6.6 to 7.8 seconds. The 1968 Barracuda was slightly restyled with a new grille and taillights blended with the rear deck. A lot of shuffling under the hood was in store for 1968. First of all, Plymouth 86’ed the 273 cubic-inch V8 and replaced it with a 318. A new lightweight 340 was also available that kicked out 275 horsepower. The 383 returned this year with new heads that boasted 2.3 inch ports. This engine churned out 300 horsepower and could go from 0 to 60 in 7 seconds. A limited production Barracuda created specifically for Super Stock drag racing wreaked havoc on drag strips across America this year. Plymouth outfitted these fastbacks with a 426 Hemi that included a dual carb setup and special pistons that boosted the compression ratio to 12.5 to 1. Power was estimated at around 500 horsepower. 1969 saw the introduction of the ‘Cuda performance package. This option consisted of two black stripes on the hood, dual hood scoops, four-speed with Hurst shifter, and a lower body paint treatment. Buyers had the option to order the ‘Cuda with either the 340 or the wilder 383. The 340 version was good for 0 to 60 times in the 6.3 to 7.1 timeframe with the 4-speed manual. The Formula S, with its heavy-duty suspension and wide oval tires, was also still available. An interesting (or strange) option for the Barracuda this year was the Mod Top. This consisted of a vinyl top with floral accents that could also be applied to the seats and door panels. This is a must-have for the flower power and beatnik crowd. The big news for 1969 was the mid-year introduction of the 440 V8. This 375 horsepower engine was the largest displacement available in a pony car this year. The only drawback was no air conditioning, power brakes, or the availability of a manual transmission. The good news, however, was the 440 helped propel the Barracuda down the quarter mile in the high 13s. It also was a great way to close out the Barracuda’s first generation.